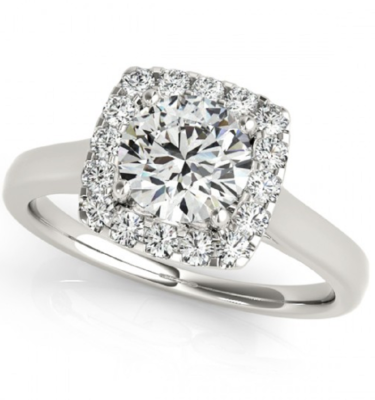 The Odessa engagement ring design is perfect for those who prefers and love the halo design. This ring is a sophisticated halo of pave-set diamonds encircling and giving an emphasis on the center diamond. This Odessa halo round engagement ring glimmers with beauty, adding a true hint of elegance and love. Imagine that beautiful smile you get when you give this diamond ring to her. The goal is plain and simple. You want to make her feel special and make this special day very memorable.